Fast Recovery & Lasting Results. Thanks for visiting our website today! As a patient-first podiatrist with two offices in Great Neck and the Bronx, I believe in creating a collaborative relationship with my patients. I find that a team approach between myself and the patient leads to better overall results. As a patient of Great Neck Podiatry, you’ll find that we keep you engaged and involved in the treatment process. We know that an informed patient is a motivated patient, and motivated patients are invested in their recovery. Because of that, we often provide multiple options for care — not just the basics! Check out Dr. Greiff on the Project Independence and You Radio Show! Every wound, whether big or small, needs to be taken seriously and requires special care and treatment. This is especially true for patients with diabetes. "Dr. Greiff is so knowledge able The most gentle podiatrist who takes the time to listen to you and you never feel rushed. He has really helped me with my problem for which I am so grateful. Also, a wonderful office staff." 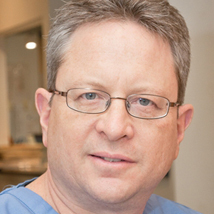 "I've recently reached out to Dr. Greiff for what turned out to be a toe infection. Dr. Greiff & his staff impressed me as attentive, punctual and professional. His diagnosis was accurate and the treatment effective. After a minor surgery, I'm back to life as it was. I would highly recommend Dr. Greiff to anyone with orthopedic concerns." "Dr. Greiff was very nice! His office was very clean, the women at the front desk were very professional and welcoming. Dr. Greiff was knowledgeable and thorough when explaining the issues that I had with my foot, and what procedures he may have to do. I have already booked my follow up an appointment with Dr. Greiff and I plan to keep him as my regular podiatrist. All in all, I had a very good, informative, yet quick appointment." "He was amazing! He was so personable and professional. Seriously, things he knew and explained about were better than any other foot doctor I've gone to. I felt like I was in very good hands! I don't live super close by, but I will go out of my way to see him again!"